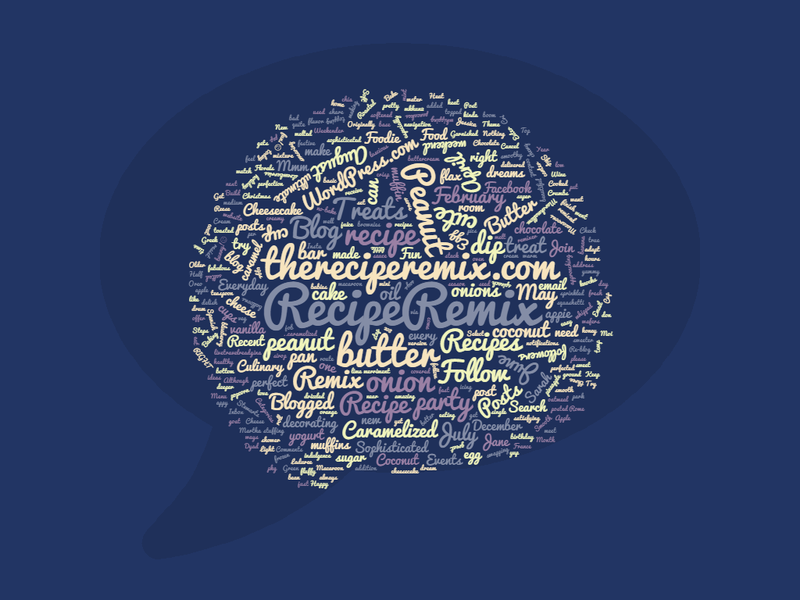 Remix of the month: Banana bread! I love when there’s six bananas in my freezer & it’s time for banana bread!!! But as much as I love it, I thought there’s gotta be a good way to use the banana bread in other super yummy ways….I decided to make my own dessert out of the banana bread and it was seriously so, so yummy!! 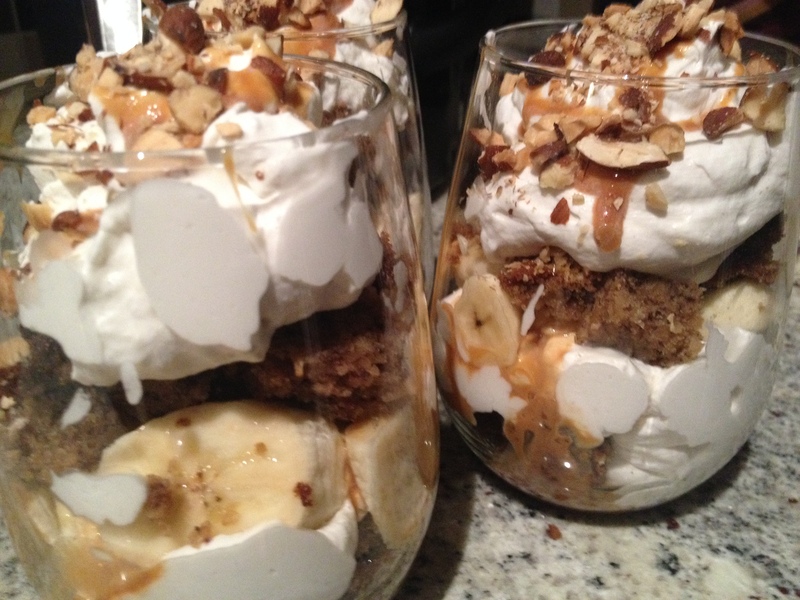 I made my banana bread then I decided to remix it into a parfait….and……it….was…..sooooo delish! Try it. Crumble the banana bread into small chunky bite size pieces and place half of it evenly in the four bowls/glasses. In a separate bowl whip the cream until soft peaks form, add the vanilla and sugar to taste. Layer on top of the banana bread a scoop of the whipped cream. Place bananas on top then add half the caramel docle sauce. Layer another bit of banana bread on top then finish it off with the last of the whipped cream and dolce sauce. Sprinkle with the nuts and serve. YUM! YUM! YUM! 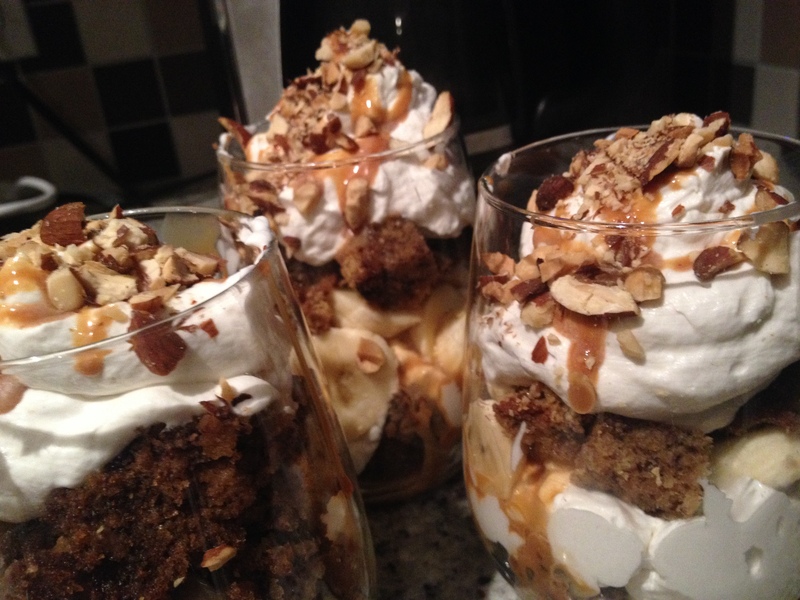 We had guests over and they couldn’t stop talking about the parfaits…a keeper for sure!! I’m making this again so soon!!! 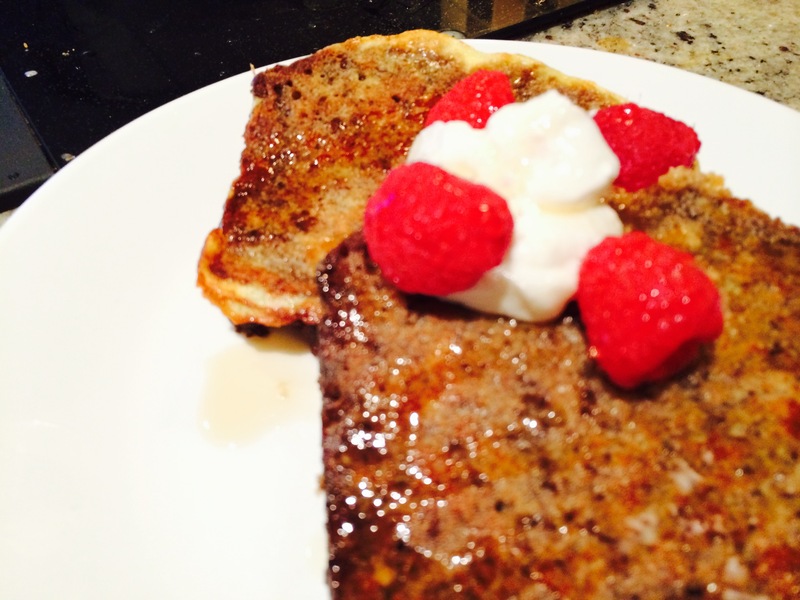 …..Another fun idea with the banana bread…banana bread french toast!!! We sliced the left over banana bread up the next morning then….in a small bowl whisked an egg and a splash of milk with a dash of nutmeg and cinnamon….Roll the bread sliced around in the egg mixture to cover both sides. Grill in a heated buttered pan and cook on both sides until lightly brown….top with some Greek yogurt, raspberries and a drizzle of maple syrup – delish!! !….Good morning me!! !